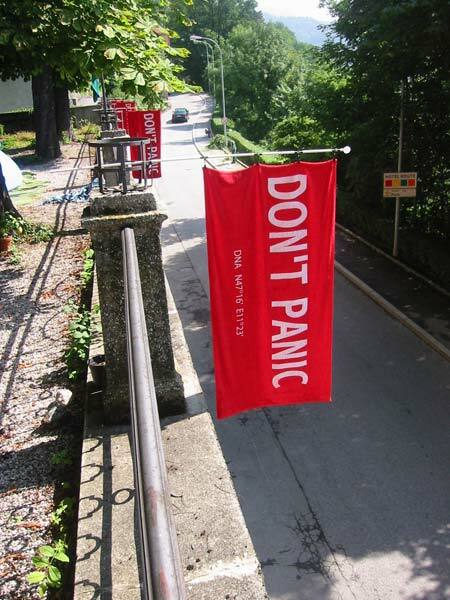 If you are using a default port (80 or 443 for HTTPS) the port number is not needed. There are two ways to verify your host: by uploading a file to your server, or adding a TXT record to your DNS. Once your verification is in place and Loader checks it, your tests can run. If you ever remove the verification, tests will not be able to run. Tokens are unique for each account and host, so your verification file will not work for someone using a different account. To verify your host via HTTP, place the token in a file and upload it to a root directory on your server. To make this easy, a link is provided on the verification page for you to download a file with the correct name and contents. When you click "Verify", Loader will check for the verification file, and if it succeeds you can go ahead and create a test against that host. Loader checks for the verification file each time you run a test against this host. I can see the key in my browser, but loader won't verify it! Make sure you have installed the correct token, and that no other content is present. If your server requires authentication, make an exception for the verification file. Do a sanity check by trying to open the token in a fresh browser session or in a "private browsing" session. Effective October 23, 2015: Verify by DNS is only available for paid plans. 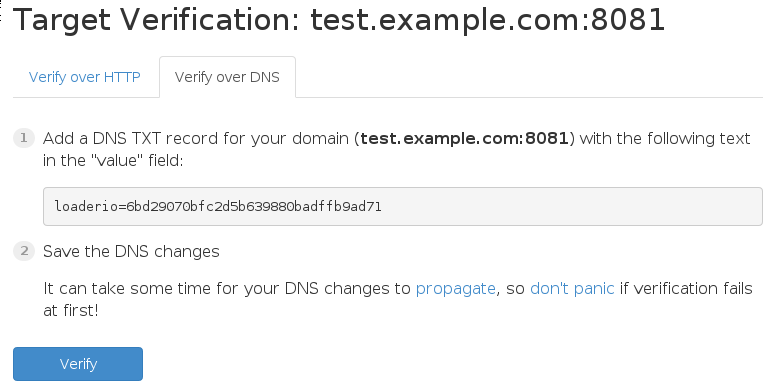 To verify using DNS, you will need to add a TXT record for your host's domain. How you do this depends on your hosting provider and how you are hosting your DNS, so if you aren't sure how to add a TXT record, check your hosting provider's documentation, or search the web. If you see your token is there, but it still won't verify, submit a support ticket and we can look into it for you.